Kevin is a source of knowledge for business owners. 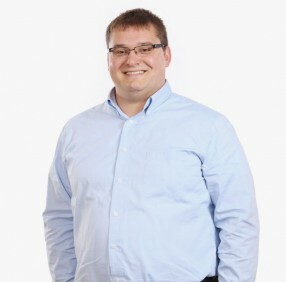 Clients rely on Kevin to provide accurate timely answers to technical questions and business opportunities. He works with our business clients to manage their expanding businesses by evaluating business categories, reviewing financial statements and researching tax matters. Kevin’s strength for analyzing financials and utilizing the information to make decisions that impact the bottom line is an invaluable asset for small business owners. In 2014, Kevin graduated from college and joined the Kirsch team. As a senior analyst, he specializes in providing advisory services to business owners on accounting issues as well as preparing business and individual tax returns and identifying tax planning opportunities. Kevin enjoys spending free time with his wife and dog at home as well as going to the park for walks. Kevin enjoys going to a Reds game, spending time at the pool or park and seeing friends and family.